The Pantech Vega Racer 2 IM-A830L is a high quality powerful smartphone that had its official launch in May 2012. Coming from South Korea, this Android device comes with impressive features such as its dual-core 1.5 GHz processor and the 2020 mAh battery. If you happen to own this phone since it was released or not long after that you probably took advantage of it for about 2 years. After such a long time of using it, you might begin experiencing errors and failures that will disturb you. In such cases, we recommend doing a hard reset on the Pantech Vega Racer 2 IM-A830L. This is a quick and efficient way to get rid of any viruses you might have transferred when you copied music or videos from another device. The procedure will refresh the OS of the phone, while everything will be brought back to original settings. On the downside, this also means that all files will be erased, which is why the best thing to do is create a backup before you get started. Running on the version 4.0 – Ice Cream Sandwich – of the Android operating system, this phone comes with a 16 GB storage capacity and allows users to save up to 32 GB more on a micro SD card. Having A-GPS support, one of the latest versions of Bluetooth (v4.0) and Wi-Fi 802, this Pantech is great when connecting with friends. 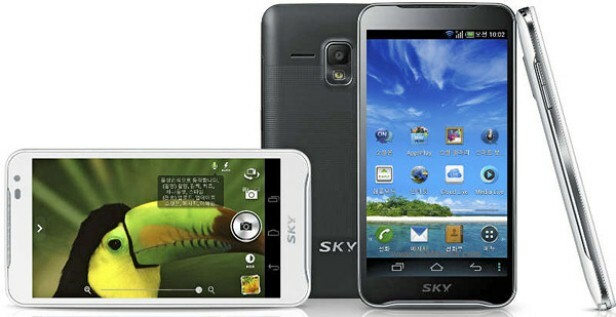 It comes in black and white, and it is equipped with a Super IPS LCD capacitive touchscreen with 16M colors. If you’re simply dealing with failing apps, a few errors and a slower mobile phone, it might not be necessary to perform a master reset. Try to first close all the apps that are open in the background and press the Power key to turn the device off. Then remove the memory for a couple of seconds and place it back in. This will automatically restart all previous processes and could possibly help you regain functionality of the Pantech. In case the smartphone is still not working properly, we recommend saving all files before moving further. You can easily do so by connecting it to a PC or tablet with the USB cable; you will then be able to transfer the important documents into a separate folder there. Alternatively, you can save everything on a cloud or use the Phone Copy app to do the same thing. Go to the Home Screen, and then press the Menu button for more options. Choose the Settings icon and scroll down to select Privacy. From the Personal Data section, check Factory Data Reset. Touch Reset Phone to confirm and press Erase Everything. The previous instructions will have determined your phone to automatically reboot. This means that all processes will be restarted and the OS will be refreshed. Wait for a couple of minutes as the operation can take up to 5 minutes to be complete. You will then be able to use the backup you’ve made to restore all media files, contacts, messages and other documents you might need.